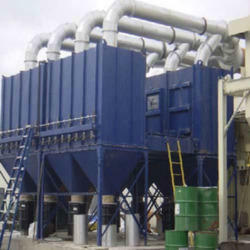 We are in manufacturing and supplying of Dust Collectors System. We offer superior quality of Dust Collectors System at reasonable prices, which results in attaining maximum satisfaction of the patrons. 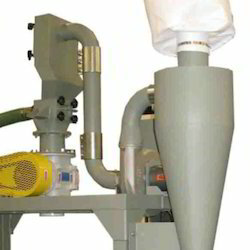 Dust Extraction system are used in many processes to either recover valuable granular solid or powder from process streams, or to remove granular solid pollutants from exhaust gases prior to venting to the atmosphere. Dust Extraction System is an online process for collecting any process-generated dust from the source point on a continuous basis. 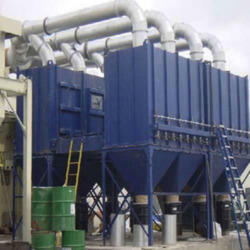 Dust collectors may be of single unit construction, or a collection of devices used to separate particulate matter from the process air. They are often used as an air pollution control device to maintain or improve air quality. 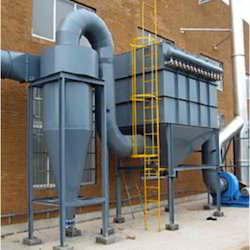 We manufacturer and export Dust Collector System. 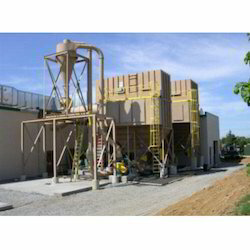 This Dust Collection System is an air quality improvement system used in industrial, commercial, and home production shops to improve breathable air quality and safety by removing particulate matter from the air and environment. We are one of the most trusted names of the industry engaged in offering high quality range of Dedusting System to the customers. These systems are manufactured in compliance with the international quality standards. Moreover, our range can be customised as per the exact details provided by the clients. The systems are used to dedust transfer points and chutes in Bulk Material Handling Systems for coal, iron ore pellets and others. We have established ourselves as a renowned manufacturer, supplier and exporter of superior quality Dust Collection System. The offered range of systems filters dust from polluted air that is generated by industrial processes and discharge clean air into the environment. Our range is known for providing efficient performance for the extraction & collection of dust particles. 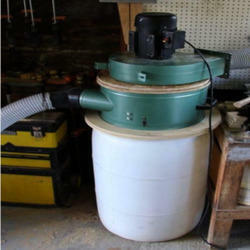 A Cyclone Dust Collector should be one of the first major purchases for any woodworking shop. Not only do they help keep things clean and tidy, they also protect your lungs from harmful airborne dust. A dust collector is only as good as it's filter, and as filters fill up with dust it reduces airflow and efficiency. One way to reduce this is to create a chip separating baffle, which collects most of the debris in a trash can before it reaches the filter. This instructable will show how I created a chip separator for my dust collector.